A.P. 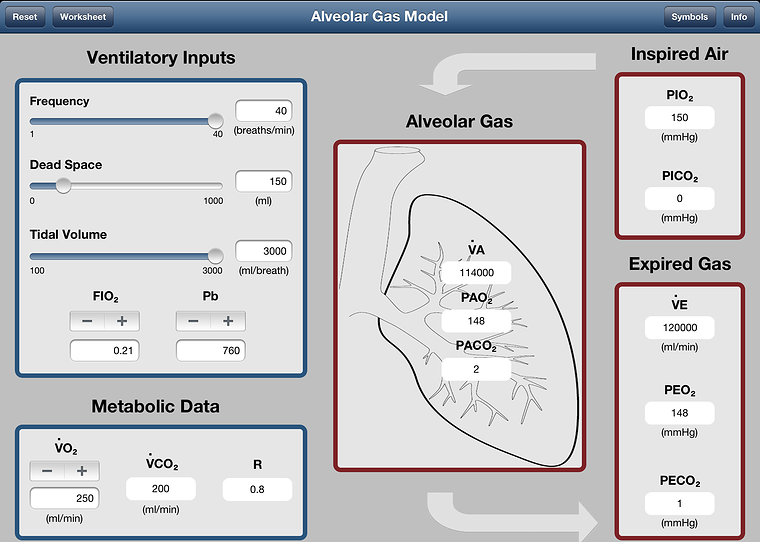 (Pete) Shepherd, Ph.D., a retired Professor of Physiology at the University of Texas Health Science Center at San Antonio, Texas, has developed an iPad app for teaching the factors that affect the composition of "Alveolar Gas". 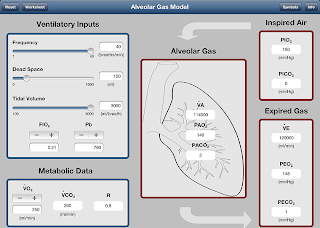 A student or instructor can manipulate variables like tidal volume, dead space, and the oxygen consumption rate and see how they affect alveolar PO2 and PCO2. The app is suitable for use either as a classroom demonstration or self-instruction. In addition to students studying respiratory physiology, health professionals who have found this app useful include residents in anesthesiology and pulmonary medicine, respiratory therapists, and nurse anesthetists. Although the app was released only recently, it is already being used in leading universities and hospitals around the world.